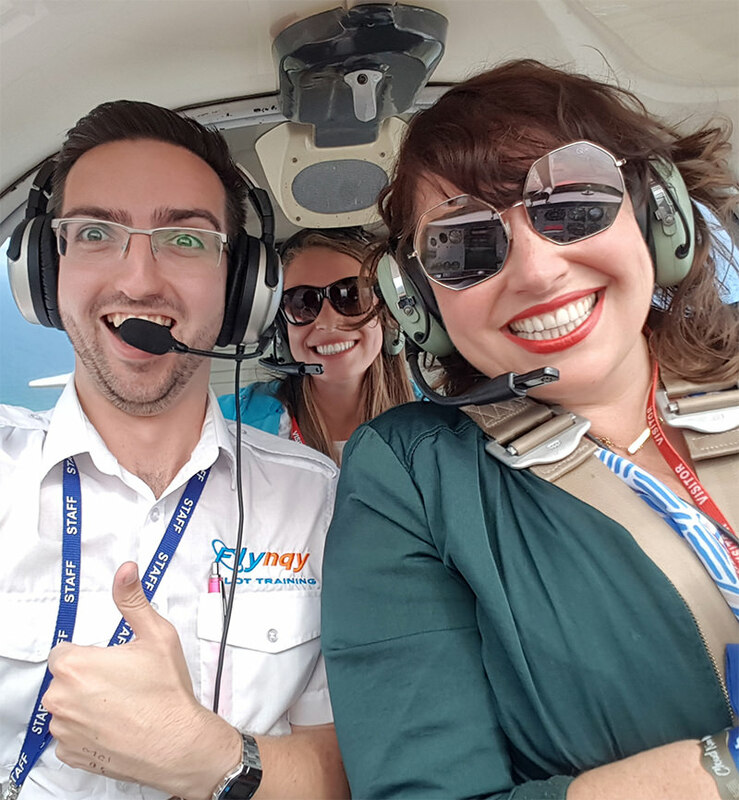 GIVE A HANDS-ON FLYING LESSON EXPERIENCE AND CREATE MEMORIES THAT WILL LAST A LIFETIME! 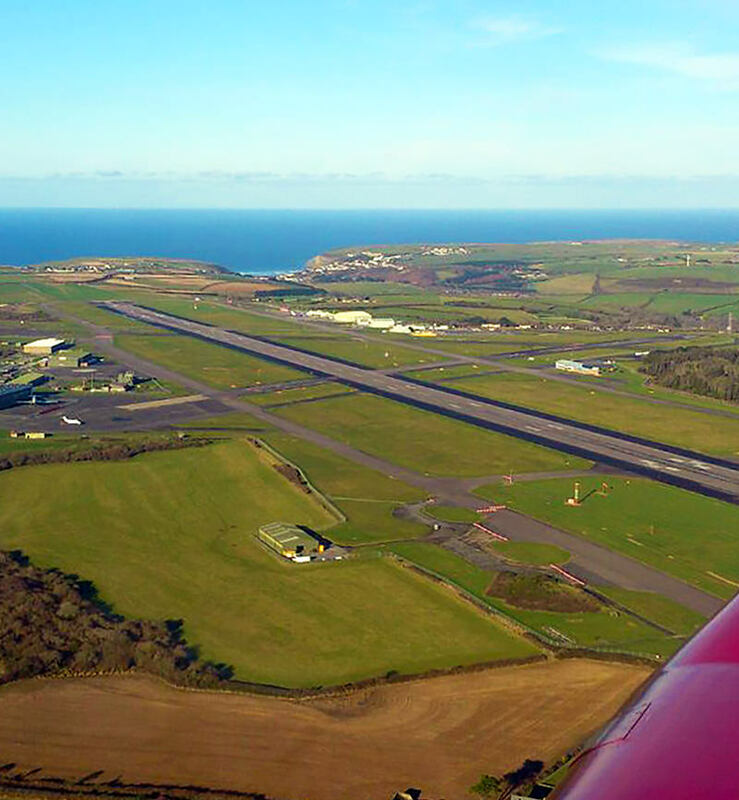 Flynqy Pilot Training operates from Cornwall Airport Newquay, a regional airport with professional facilities and an all-weather runway. We're also lucky to have the stunning coastlines and landscapes of Cornwall and Devon as a backdrop for our flights. We have a fleet of three training aircraft consisting of two Cessna 152's and a Robin R3000. Our aircraft rates and course fees are highly competitive and our training results are impressive. All of our pilots are commercial pilots with full instructor ratings and many years of experience. An exhilarating experience of a lifetime...thanks to Marshall for an afternoon that I'll never forget!!! I think I may just have just got bitten by the flying bug and started a new hobby!!! Well worth booking! My husband is almost qualified to fly microlights. He wanted to take our son on his first flight ever over Cornwall, whilst we were on holiday. The staff were fabulous from the initial booking phone call, to greating us on the day itself. The pilot 'Mervyn' was really pleasant and made the whole experience memorable. Our son was awarded a flight certificate at the end, which was a lovely gesture. 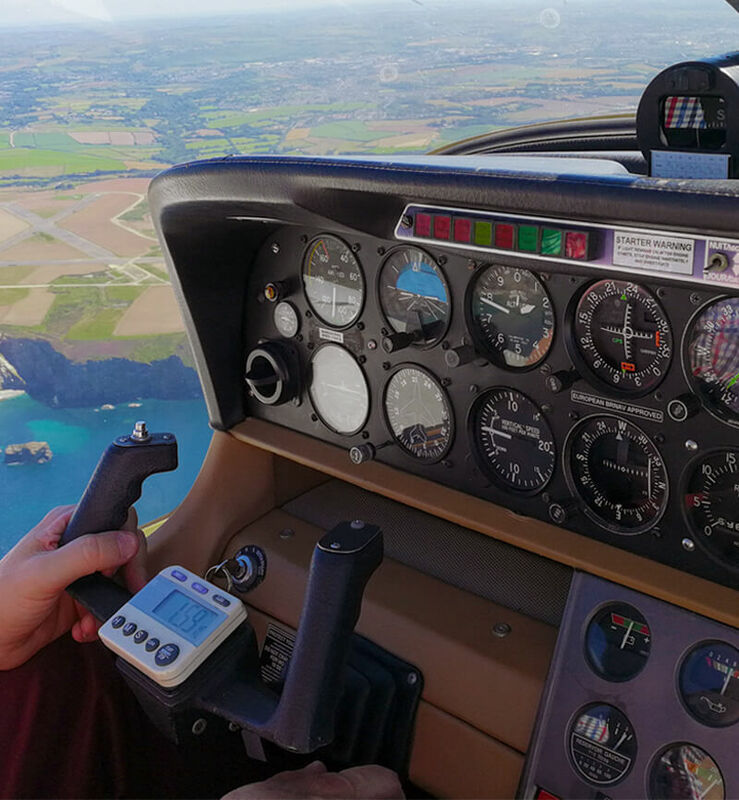 The views of Cornwall from above are just spectacular, I can't recommend this enough as a gift or just for your own pleasure. Enjoy! What an outstanding bunch of people! My thanks to Zara, George, Sam, Leon, Marshall and Lothar. This is a lovely club and school. Popped down and tried their new Robin 3000....what a great aircraft. Also had top quality instructing from the patient Capt. Marshall Cligman and examining from Capt.Lothar Berger. I also was plied with copious amounts of tea and cake! Please pop by and visit, and go flying! You will not regret it with such a lovely bunch. Having grown up in Cornwall I arranged for my flight to take me over my 'old house' in Roche to get some aerial photos. My daughter came along too as chief photographer. Friendly staff from arrival to departure. Couldn't fault it. I'm sure we'll be back again! Congratulation to Sam, who after a long break from flying completed his first (second) solo circuit!! Can you guess the aircraft part? It's NEW CHART time ! The latest Southern England charts are now available at FLYNQY either folded or unfolded.